As we walked out of Grain something caught my eye. I stood and stared as a pair of eyes stared back at me. I craned my head forward and squinted. Was it? It couldn’t be? But it was! 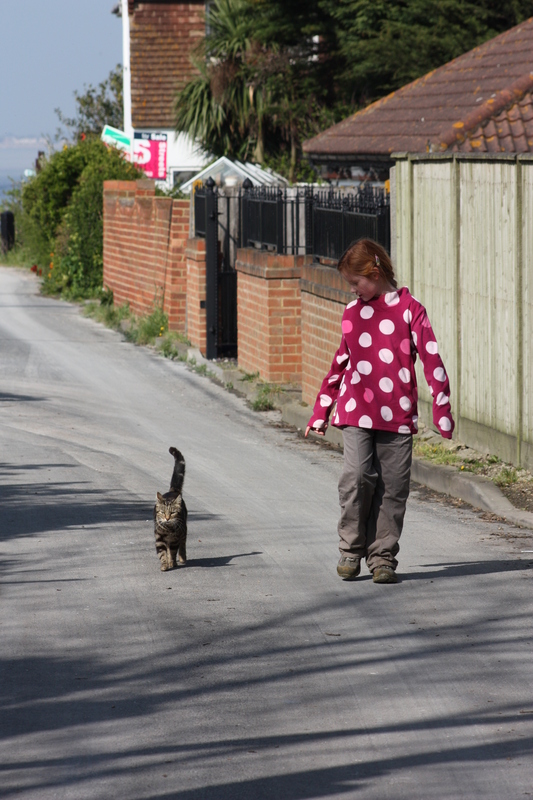 The Friendly Cat from Grain, as we called it, was our first ever non-human Guest Walker. We have very fond memories of that cat. The cat that now sat in front of me could have been any old tabby cat, I told myself. Yet there was something about it and its manner that made me think otherwise. I took a picture of it and when I got home I compared it to the pictures from two years ago. The picture on the left is from 2012; the one on the right from 2014. I studied the photos for quite a while. It was the cat’s left leg that did it for me. See how there is a broken black line which angles up, from just above a splodge, and which runs into the thick black band above? “That’s the Friendly Cat from Grain!” I shouted out loud. The cat and I looked at each other. The cat had an air of indifferent curiosity about it; I on the other hand was ginning like a fool. I eventually left it there, sitting and staring. I got back in my car, as I had a pressing engagement with an adventure further up the coast. What a delight to see our friend again, and looking so well! This entry was posted in Kent and tagged cat, chance, coast, Kent, meeting, serendipity, travel. Bookmark the permalink. 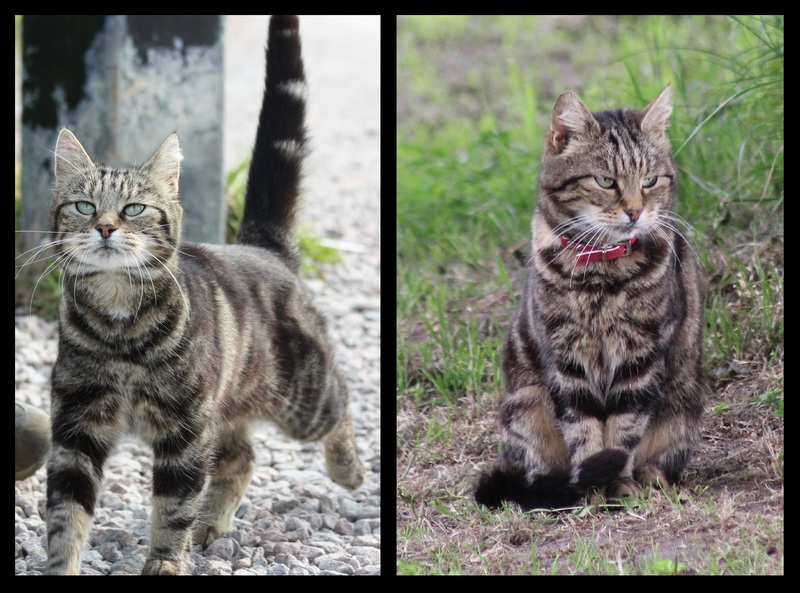 A lovely story and yes I’m sure it’s the same cat although I notice it’s owner has given it a collar now – perhaps it has a habit of wandering off!